Fiddler’s Green has become such a standard on the folk circuit across the world than many people mistakenly regard it as a traditional song. It is in fact relatively new. It was written in 1966 by singer and songwriter John Conolly from Grimsby in Lincolnshire in England. Conolly was steeped in the folk tradition and was proud of the fact that he had written a song with such an authentic feel that people thought it was hundreds of years old. The newly written Fiddler’s Green was picked up in 1968 by Tim Hart and Maddy Prior, two of the leading lights in the folk world at that time. They recorded it on their album, Folk Songs of Olde England. The title of the album no doubt encouraged people in their belief that it was a traditional song. 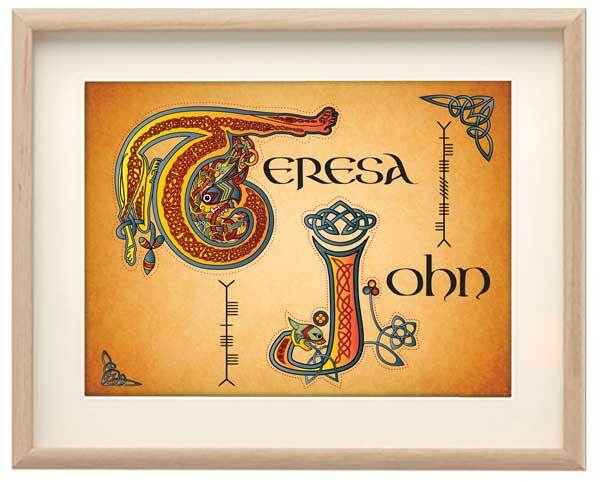 It soon became one of the most popular songs on the folk circuit in the UK, Ireland and beyond. Conolly’s song is an original piece of work but it takes its inspiration from mythical vision of the ‘sailors’ heaven’ that dates back several hundred years. 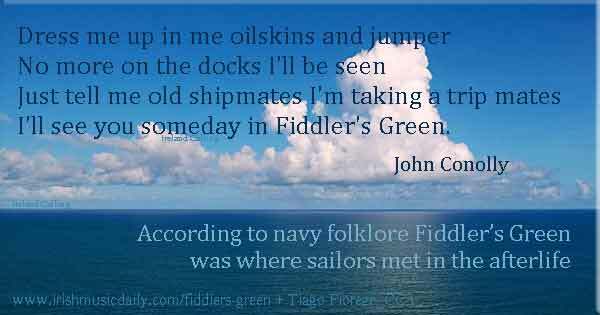 According to navy folklore, Fiddler’s Green was where sailors met in the afterlife. Heaven to them meant endless supplies of rum and tobacco. Conolly taps into this idea and develops it to great effect. The weather is always fine, there’s always a good rolling sea and the captain is a kindly soul who makes tea for his men. Of course, there are also plenty of pubs, clubs and pretty girls. Fiddler’s Green is sometimes said to have been influenced or even borrowed from a much earlier song called, Wrap me up in my Old Tarpaulin Jacket, but although there are similarities in the theme and bits of phrasing, there’s no doubt Conolly’s work is a unique and original song. Conolly acknowledged on the Mudcat online folk music forum that that he got the idea for the first line of his chorus from Tarpaulin Jacket – “wrap me up in my old tarpaulin jacket” – but that was about as far as the influence went. 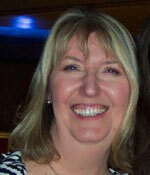 See videos page for a recording of Wrap me up in my Old Tarpaulin Jacket. Conolly also pointed out that he had originally written “Dress me up in me abb socks and jumper” -referring to oiled wool feet protectors worn by fishermen. He changed it to “oilskins” when his friend and colleague Bill Meek pointed out that no one outside Grimsby would know what he was talking about. Fiddler’s Green has been recorded by some of the leading performers in folk music including Liam Clancy, Barney McKenna and The Dubliners, Tim Hart and Maddy Prior, the Irish Rovers and many more. Fiddler’s Green has also given its name to countless bands, pubs, clubs and restaurants throughout the world.